“The center will borrow design elements found in ExxonMobil’s campus to bring together a cohesive modern, yet rustic feel. We will incorporate low-impact features and will pursue LEED Silver certification once the project is complete.” said Abe Pacetti, Vice President of Investments. Regency Centers Corp. (NYSE: REG), a Florida-based shopping center owner, has formed a joint venture with CDC Houston Inc. to develop, own and manage the first grocery-anchored development in Springwoods Village. 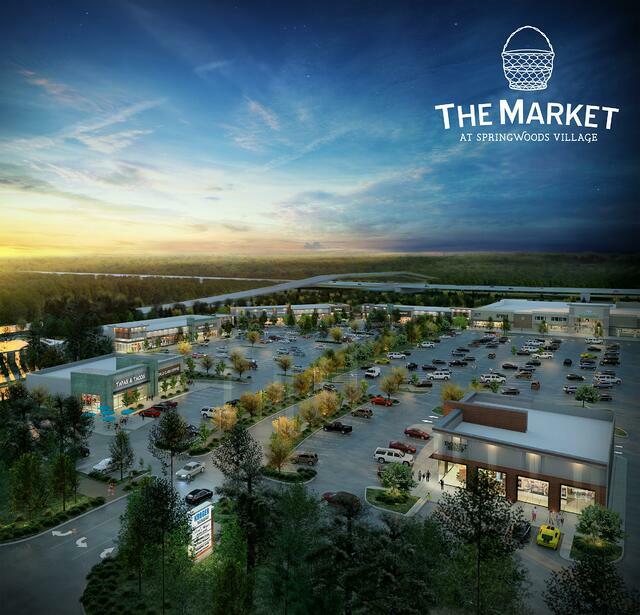 The Market at Springwoods Village is expected to break ground this month and open in the spring of 2017. It will be at the intersection of Holzwarth Road and the Grand Parkway. The first phase of the development will be 170,000 square feet, though Regency expects to add a second phase in the future. When news of the plans first broke over a year ago, Regency had a 385,000-square-foot center in mind. A 100,000-square-foot Kroger will anchor the development and will employ more than 300 people in hourly, management and leadership positions. Other tenant announcements will be made as they become available, but the development is also expected to include retailers and restaurants. This is an excerpt from an article posted on the Houston Business Journal. For complete article, click here.